For background on this distillery, see this post about my visit. My visit to Lost Spirits distillery in Salinas, CA was a rewarding experience. I learned a lot from distiller/owner Bryan Davis and also had an opportunity that few whisky consumers have: to sample a distillery-only single cask bottling. Often in Scotland, scotch distilleries will keep back one or more special single casks to bottle and sell as perks for distillery visitors. 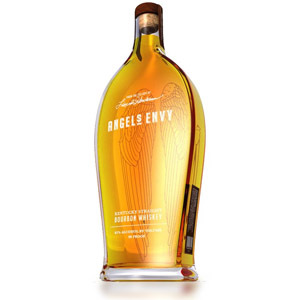 A bottle that can’t simply be picked up at the local liquor shop or duty-free store is both a great memento and a special experience for the distillery visitor. After trying Bryan’s range of bottlings, I was fascinated with the Distillery-Only Series bottle of Leviathan II nicknamed “The Old Man And The Sea Cask”, which Bryan said was named for its unexpected briny/smoked fish notes. It’s instructive that even a careful chemist like Bryan can be surprised by the wide variation in results between casks, even when two or more casks undergo exactly the same environmental forces and processes, and are filled with new make from the same recipe. 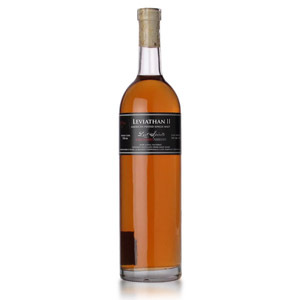 Leviathan II is an effort to improve upon the original Leviathan I (and perhaps to combat its mixed reviews) by maturing the same distillate in special casks. According to Bryan, he “went through Hell and back” to obtain a few of the rarely-available empty casks previously filled with California late-harvest Semillon. These are California’s answer to French Sauternes: a white wine grape affected by the botrydis fungus, which concentrates the wine’s sugars and yields a sweet, honeyed dessert wine when fermented. Bryan peat-smokes 100% California malted barley with “coarse cut” Canadian peat in his handmade smoker. 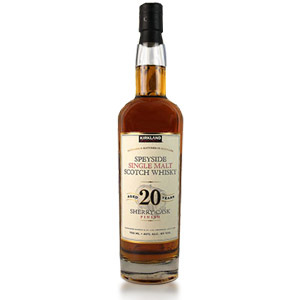 This malt is distilled on the crazy Lost Spirits wooden pot still and filled into those Semillon casks. 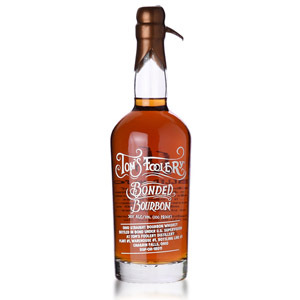 The result is bottled around 53% ABV without chill-filtration or coloring. The bottle says “under 4 years” which is required by law, but the whisky is likely much younger than that. Take all that madness, and then consider that Bryan singled out this cask for its special character. 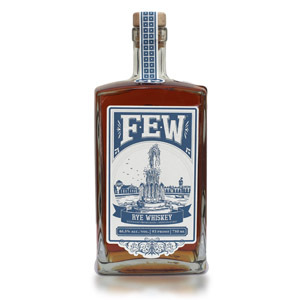 I wanted to see what happens when an already individualistic whiskey is singled out as a single-cask bottling for being even more individualistic! Nose: The Semillon punches through the haze of swampy peat with a laser-focused cherry tartness. The peat itself is intense and fungal, heavy on moss, industrial solvents, and piney compost. Underneath the malt itself is funky in true Lost Spirits style. Musty, moulding oak, smoked fish, and red wine vinegar. Palate: Soft on the palate, cherry pie and cherry lozenge up front, followed by a robust mouth burn. A touch of raw honey, burning leaves, and dried cranberries. Finish: Long. All of the notes from the aroma come back, but gentler and under more control. Here, there is a slight suggestion of the sweetness of the semillon, without as much tartness. The peat rides through, starting smoky and ending with moss and freshly-dug earth. On the tail end, menthol. With Water: A generous dose of water reveals some barnyardy aromas – spoiled hay and livestock – and dials up the nose tickle. The water renders a creamier mouthfeel and reveals more barley on the tongue, however, it emphasizes bitterness on the finish that just wasn’t there at full proof. I think it’s better full strength. Note, though, that a long rest (30 minutes) integrates the water and yields a lot more sweetness. This is worth experimenting with. Overall: As with the other Lost Spirits offerings, Leviathan II is neither a drink for the faint of heart, nor the seeker of refinement. Eccentric and bold, gamey and tart, this malt takes the usual Lost Spirits weirdness and encases it in a tart candy coating. Remember Warheads sour candy? 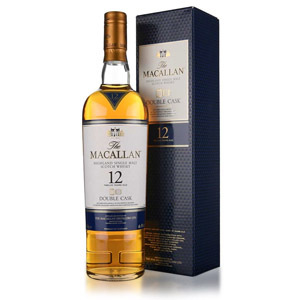 I think it’s interesting – and slightly disappointing – that the sweet wine doesn’t bring much sweet character to this malt, and is instead responsible for the sour grape notes. Perhaps a port maturation is in order? Either way, if you’re looking for variety and excitement in your whiskey, this place is a gold mine. Lost Spirits continues to create otherworldly spirit with truly alien characteristics. Price Range: Only available at distillery. Please inquire. Acquired: (tasting bar and review sample) Thanks Bryan!